HTML emails allow a business to keep in touch with its most engaged customers, those who have signed up for HTML emails. Whether you want to share information about discounts, send promo codes, alert customers when new products arrive, announce upcoming sales, or just say "Thank You!" or "Happy Holidays," Swartwerk Media Design can design, send, and manage your HTML email communications. 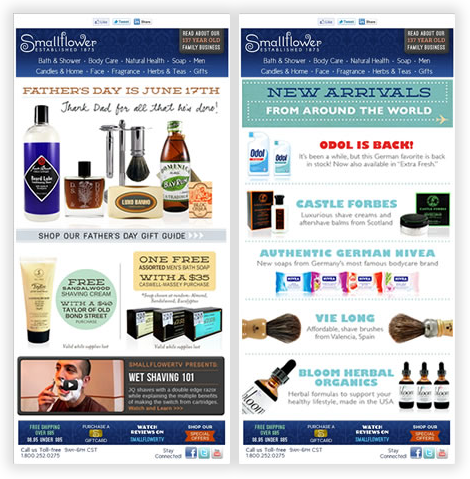 Merz Apothecary in Chicago designed an HTML newsletter in-house and employed Swartwerk Media Design to code and develop a flexible template to use for its customer communications. To the right are two examples of the excellent designs Merz Apothecary has created and delivered using this template. 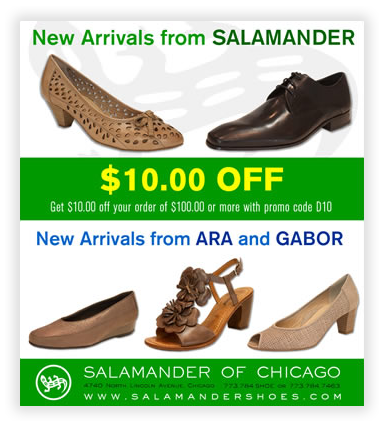 Swartwerk Media Design creates, designs, and develops various promotional HTML emails for Salamander Shoes of Chicago throughout the seasons. 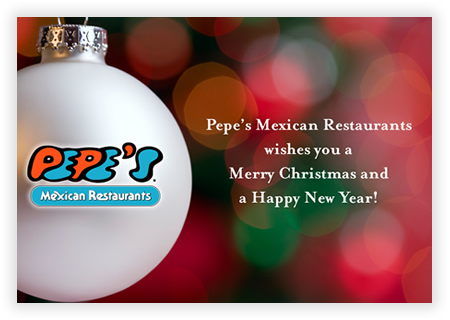 Swartwerk Media Design creates, designs, and develops various promotional HTML emails for Pepe's Mexican Restaurants in Chicago. 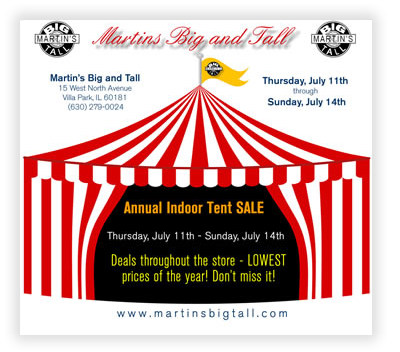 Swartwerk Media Design creates, designs, and develops various promotional HTML emails for Martin's Big & Tall in the Chicago area. 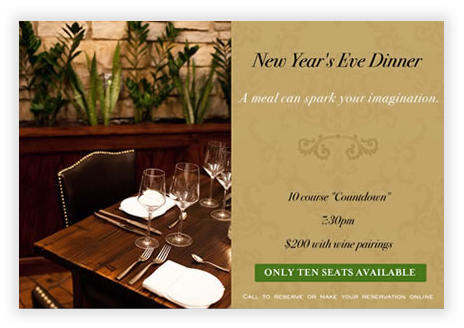 Swartwerk Media Design creates, designs, and develops various promotional HTML emails for Sprout Restaurant in Chicago.